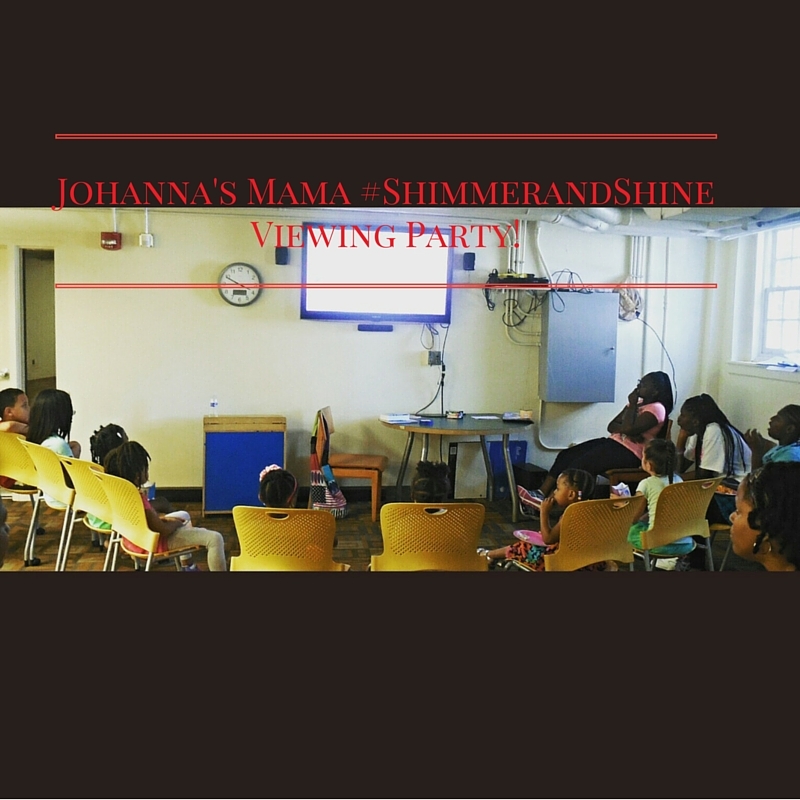 Shimmer and Shine: How to Host a Sponsored House Party FREE! 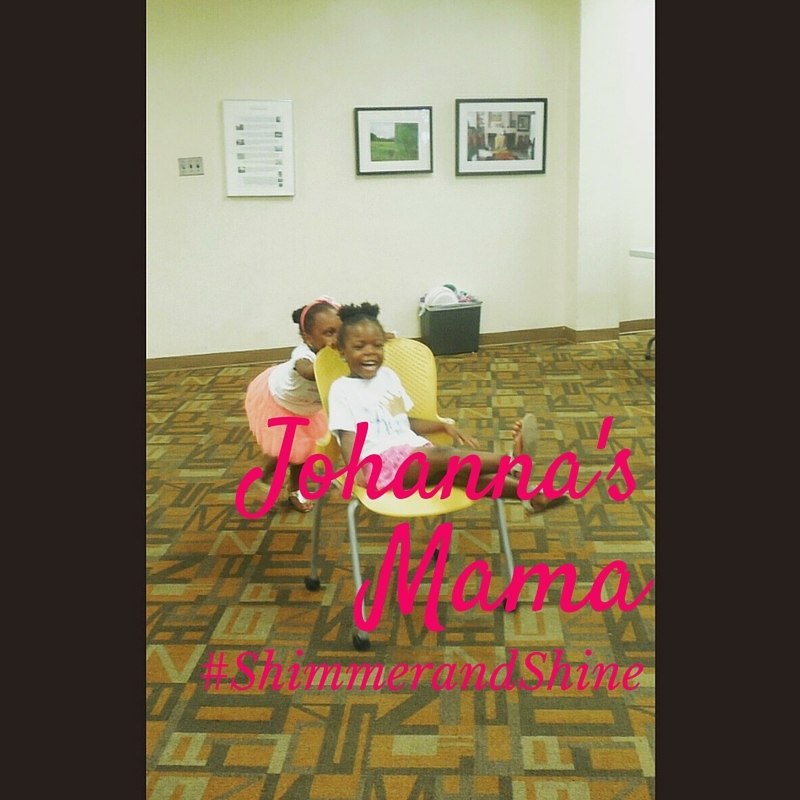 A few weeks ago we were chosen to host a Shimmer and Shine House Party for this past weekend. It was a ton of fun! 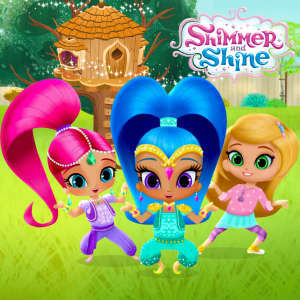 Shimmer and Shine is a new NickJr. show premiering tonight! Shimmer and Shine are Leah’s secret genies who sometimes misinterpret what Leah wishes for — and that’s when the adventures begin. Your kids will love the humor and music in every episode; plus, it teaches problem-solving and teamwork. – NickJr. They greatest part about this party is that we were sent a bunch of products for free to host it! You too can host your own house party. Here’s how it works. 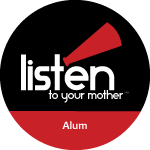 Sign up on the House Party website to be alerted when new parties are listed. 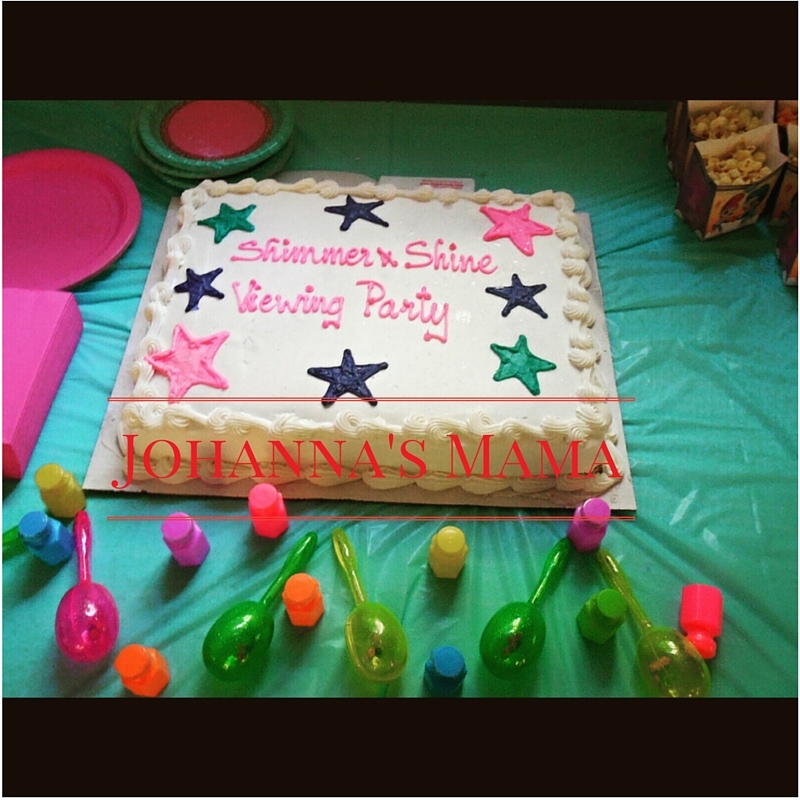 Peruse the site for a party you are interested in. There are parties for adults as well! Apply and do all of the extra steps they ask you to do to have a good chance of being selected. Cross your fingers and say a prayer! What’s great is that you can invite everyone right from the website. 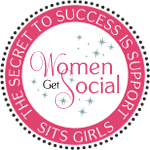 They provide the evite for you to send, and they also provide printable party favors on the site. The only thing you have to do is provide some vital vittles and have your party! 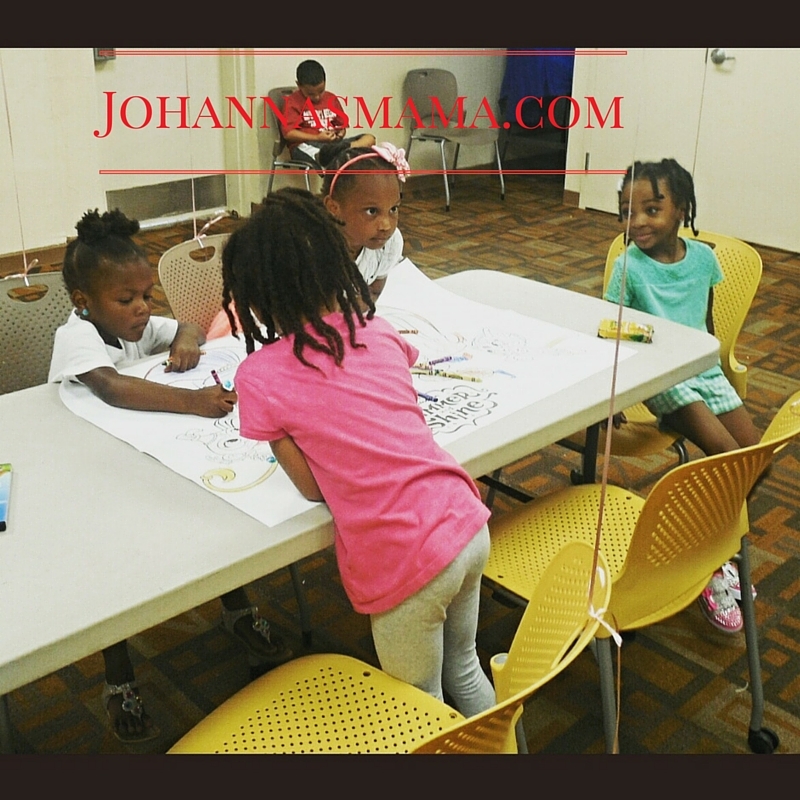 The kids colored in this poster while they waited for the other party guests to arrive. Everyone quietly watched the show munching on popcorn. After the show they enjoyed punch and cake, then had a ball running around playing with each other. I just wanted to add a tiny bit more sparkle to the party favors, so I added shimmery lipgloss, a sparkly bracelet, sparkly maracas, and neon bubbles to the favors. 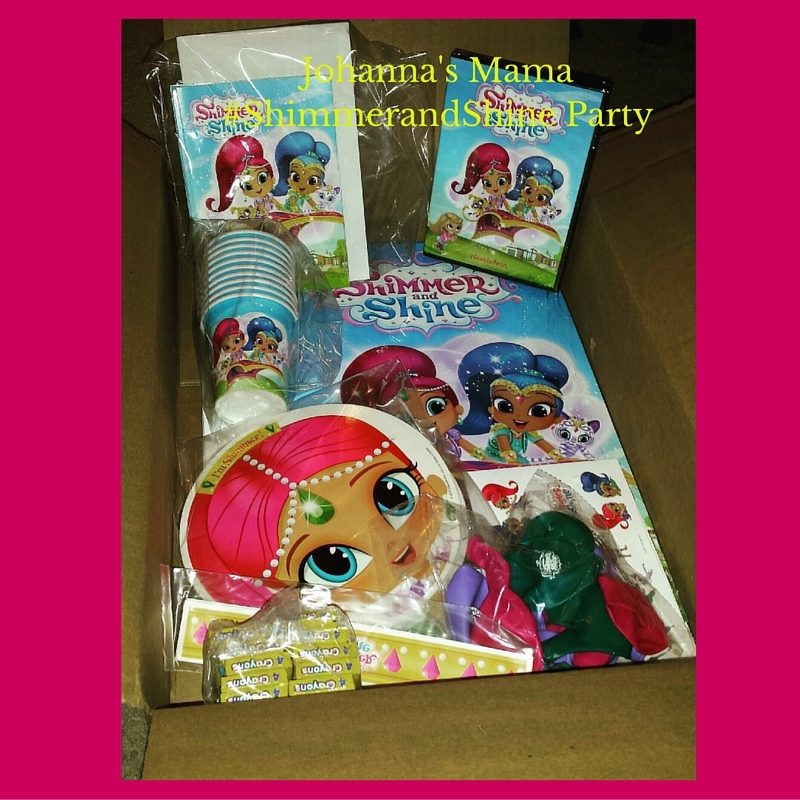 As mentioned, this was a house party sponsored party, and received the shimmer and shine products for free! The best advice I can give when hosting your own party is to remember this is a great opportunity to have a party for almost free. 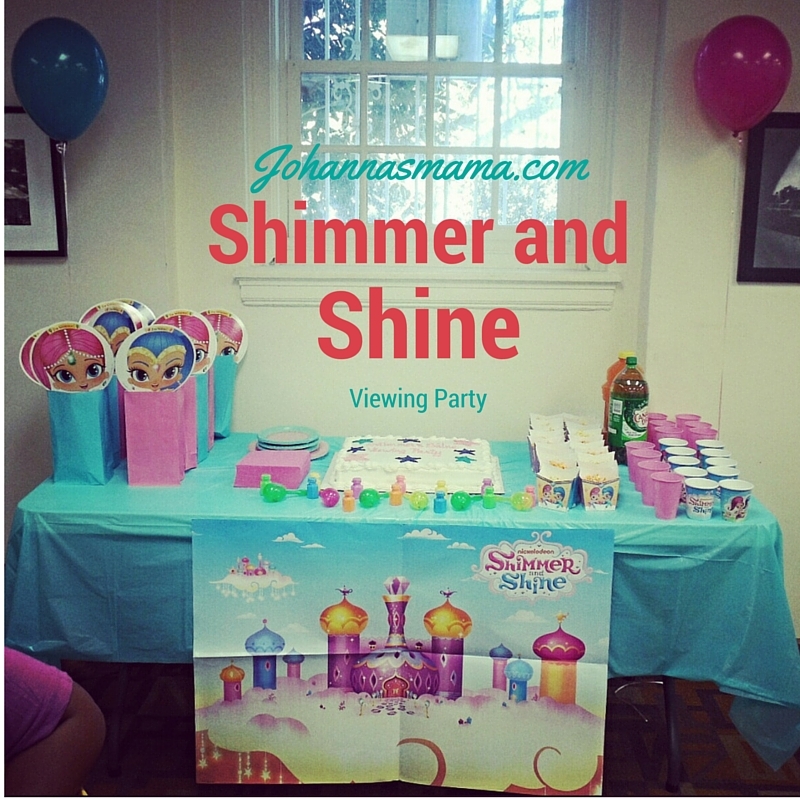 If you’re a party planner like I am, you’re going to want to go all out and it’s going to be hard to restrain yourself, but I had to remind myself that this wasn’t a birthday party, this was a party to show off the new Shimmer and Shine show, so it was ok not to have a candy buffet, a ton of food, etc. Trust me, that part was hard. Hopefully the next house party we do is around her birthday and I WILL be able to go all out! 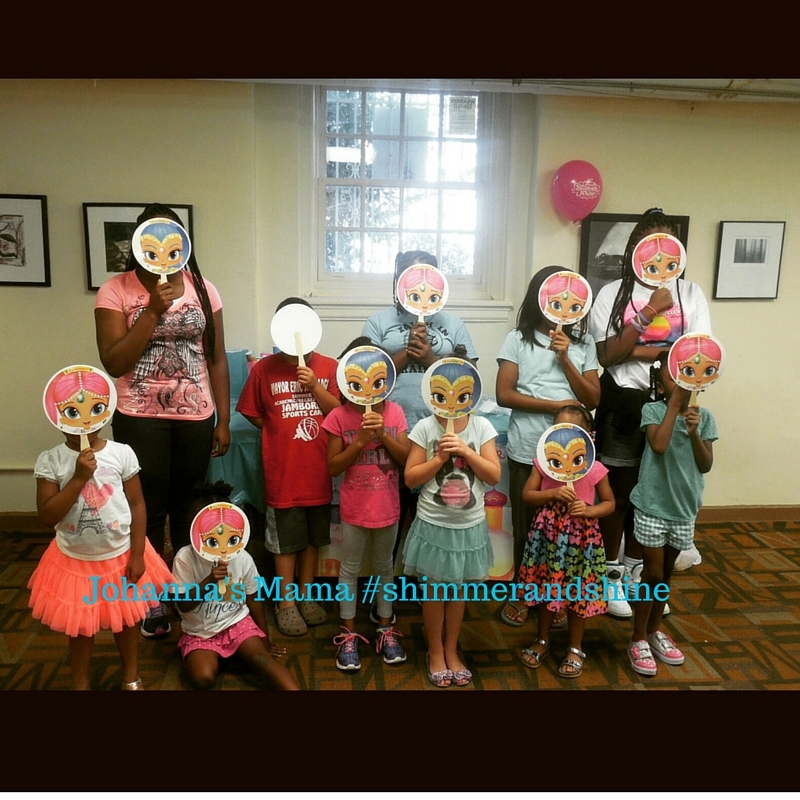 Catch Shimmer and Shine Monday, Aug. 24, at 7:30 p.m. (ET/PT) on Nick and the Nick Jr.